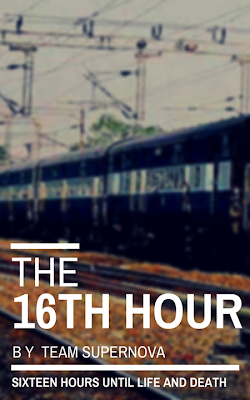 An Experience of Team Supernova in writing a Novel "The 16th Hour". 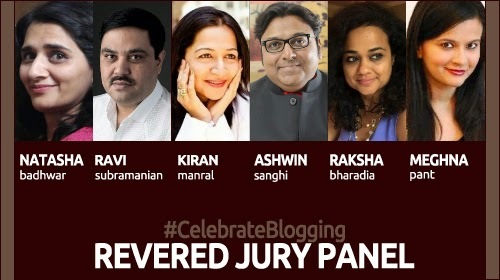 One day I get a mail saying register with Blogadda for #Celebrateblogging without any further details. I immediately registered thinking it is gonna be some blogging activity for sure. Little that i knew what's really in the kitty. A few days later I again get a mail from Blogadda saying that randomly the teams have been made among registered members. The mail also contained the names and email ids of all the members and it said that we have to coordinate and write a story. Story!? I scratched my head hard. I am a travel blogger basically and do write poems and other articles but a story? I had never thought about it before. Then I thought why not take this challenge. There is always first time to everything. Next challenge for me was to know who these other members of my team are? We were total strangers. 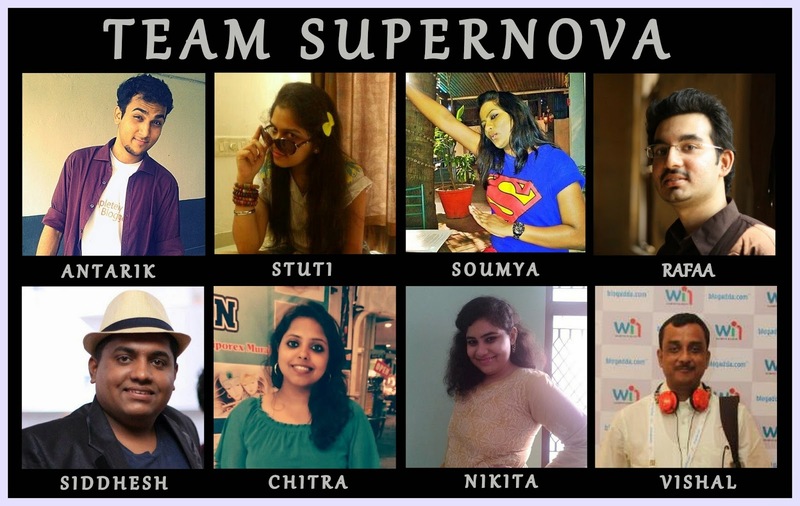 Immediately I sent a mail to all my team members asking for their phone numbers to create our whatsapp group. Their was no shyness, all obliged. A whatsapp group with the name SUPERNOVA was then created as it was our team name too which was also decided after taking everyone's suggestions into account. And then started the journey of brain storming, writing, coordinating with dates when one will write which chapter etc. After naming the team next big task was deciding on genre of the story and building story line. All took great effort. Sometimes there were difference of opinion and sometime situations were nothing more than a cake walk. On the story, well every member had to write separate chapters as per the timeline decided, wherein no one had the clue on how the person before them is gonna write. With all having different style of writing and so distinct creative thinking & ideas; it was a roller coaster ride but a great and fun experience. Staying awake late night to think, write, discuss; the submission pressure; deadlines etc was a totally different experience because we all were strangers but factors like these brought us together and yeah now we all have plus 9 friends. Nonetheless emails raise to many powers, infinite whatsapp messages, our own facebook page but finally 30,000 words which we could make happen by getting shortlisted in each week by an esteemed panel of Judges who themselves are the renowned authors. Finally we were among top 10 teams in India to compete in the final week. The journey was superb, an association of a lifetime. "The joy know no bounds when you finish your target on time and feel contained with what you have done." 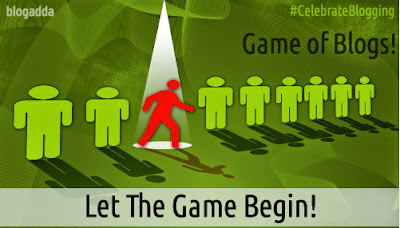 Last but not the least "A great initiative by Blogadda. Thanks to you that I could discover this side (Fiction / Story writing) of me. And many many thanks for giving me some new friends and an experience of a lifetime." Thanq Antarik.I din't know either that it was your first time too. 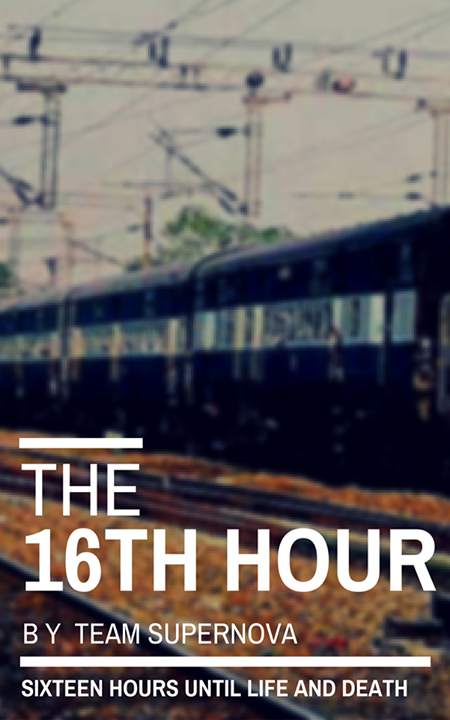 And kudos to team supernova for making "The 16th Hour" happen.